The COMM supports existing research networks and aims to further bundle resources for new initiatives. For this we offer assistance to the already established research associations and organize meetings of scientists of the Saarland University with the aim of establishing new, innovative research networks. We can refer to a series of former research networks and currently, 15 research collaborations are integrated in the CoMM (for details, link here). For these organizations we offer support during the application process for renewals and during the evaluation by external reviweres. We support the selection process of the doctoral candidates as well as the design of specific training programmes. We provide assistance in organizing scientific meetings and keep an inter-faculty event calendar across all networks. In recent years, the COMM supported several networking meetings between internal and external research associations (GRK 845 & GRK 1326 in 2008 and 2009; IRTG 1830 & TRAM-MGK in 2013 and 2015), which strengthened existing networks and contributed to the establishment of new research contacts. Our declared goal is to further network our scientists in order to establish new, innovative Research collaborations. In doing so, we are focusing on intensifying the cooperation between clinical and preclinical research groups of the School of Medicine in Homburg (translational research) and the pharmaceutical and biotechnological research groups of the Faculty of Natural Science and Technology in Saarbrücken. 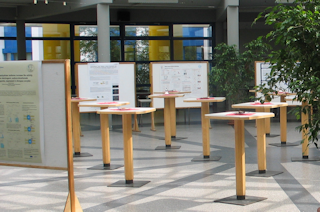 In order to establish a research initiative “Prostate Cancer”, the COMM organized several Mini- Symposia in 2007 and 2008 (sponsored by Fisher Sientific). During these meetings, attendees from the Saarland University and the University of Kaiserslautern discussed on their current research in the field of prostate cancer and jointly developed a concept for a joint initiative (which resulted in an application to the “Deutsche Krebshilfe”. Further symposia, e.g. on the topic of “reactive oxygen species” are curently in the planning stage. The COMM was also involved in the establishment of the DFG-funded research group FOR 967 (2008), the International Research Training Group IRTG 1830 (2012), the excellence cluster proposal (2006) and the proposal for an endowed professorship for prostate carcinoma.